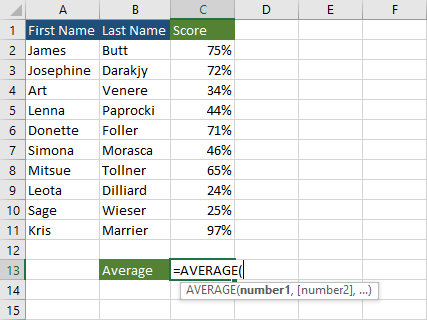 If you have a list of percentage values and you want to get the average percentage of them, you can do it in Excel by using the AVERAGE function. Here’s how you can do it. Get the list of percentages. Find a place where you want to count the average. When you start typing average you will get a few options to choose. 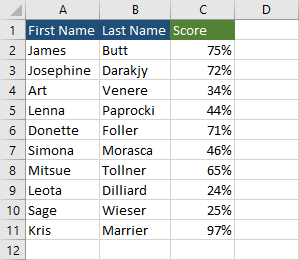 Select the values you want to calculate the average (C2:C11) and press Enter. The average percentage score for our example is 55%.